The Stags end Cape Elizabeth's two-year reign as champion. 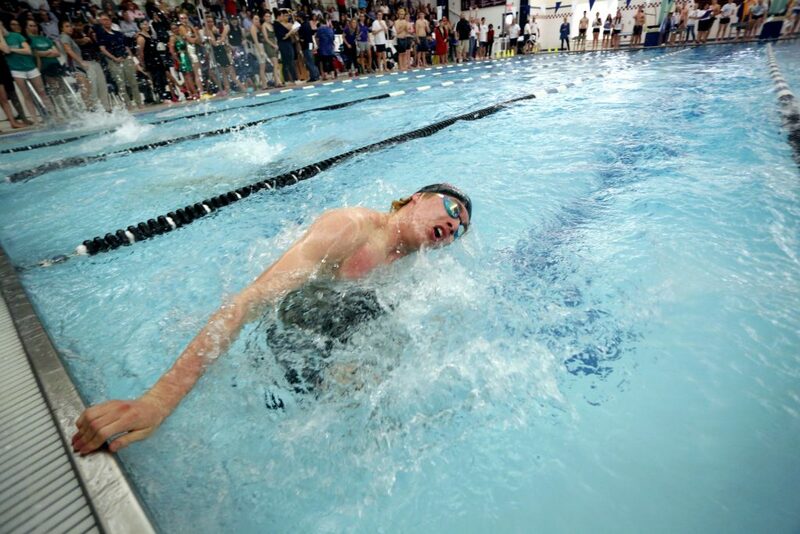 CAPE ELIZABETH — Ben Adams touched the wall at the end of the concluding 400-yard freestyle relay and looked to see if any competitor was near. Seeing nobody, Adams slapped both hands on the surface of the water in celebration. 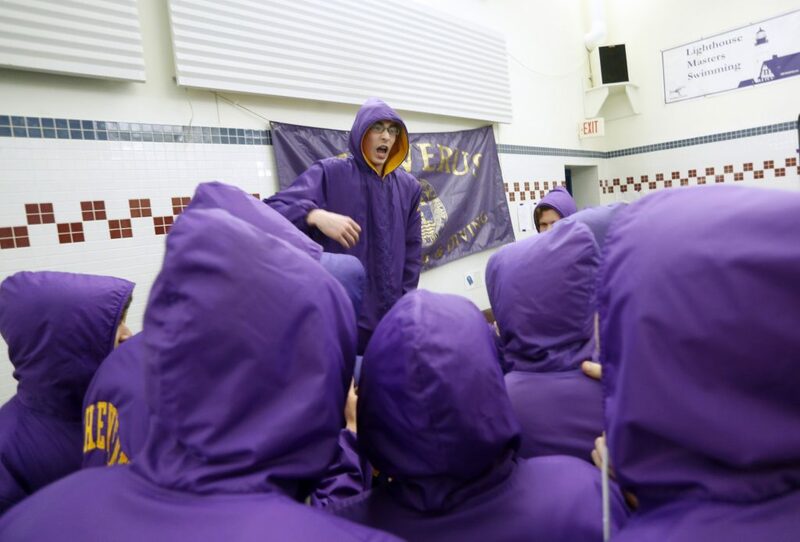 For the first time in three years, Cheverus laid claim to the North Southwesterns swimming and diving championships Thursday night. 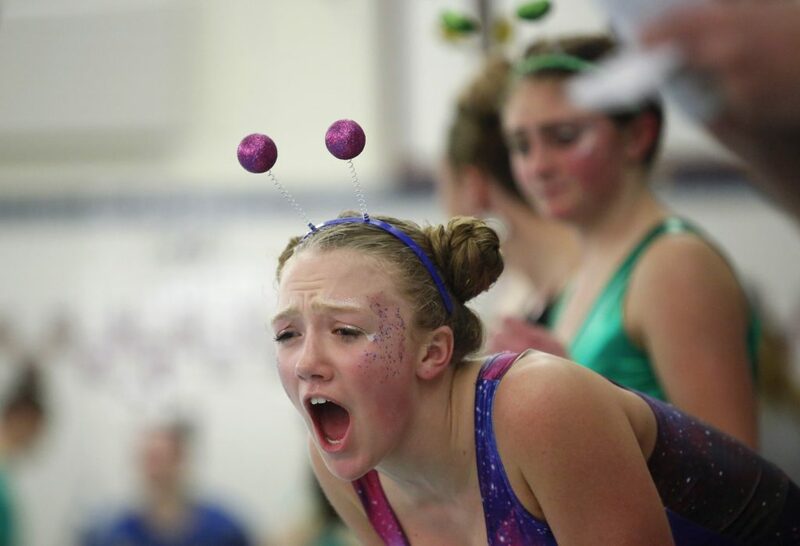 Nursing a three-point cushion entering the final heat of the final relay, Cheverus blew away the 400 free field by 13 seconds to clinch the meet at Richards Pool. The Stags finished with 303 points. 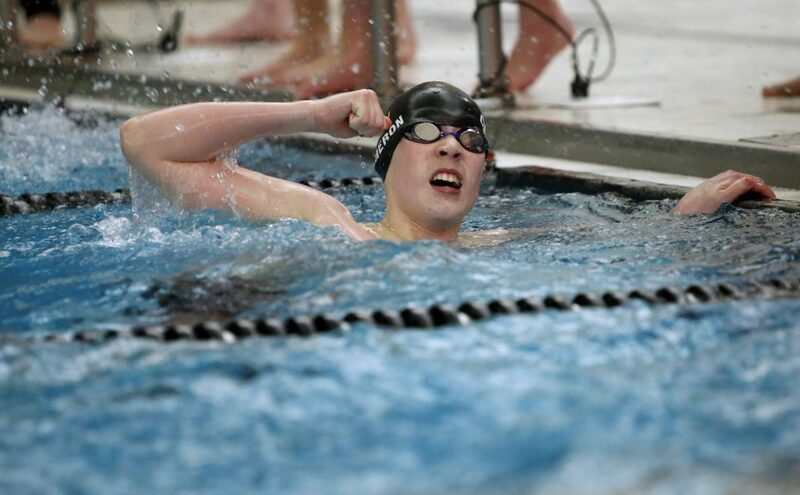 Two-time defending champion Cape Elizabeth, which won the 400 free B relay in dramatic fashion to set up a winner-take-all final heat, saw its A relay disqualified for leaving early and wound up second with 270. Scarborough finished third with 181 followed by Greely (141), South Portland (136), Deering (134), Falmouth (95) and Westbrook (78). Cheverus freshman Brim Peabody was named Performer of the Meet. 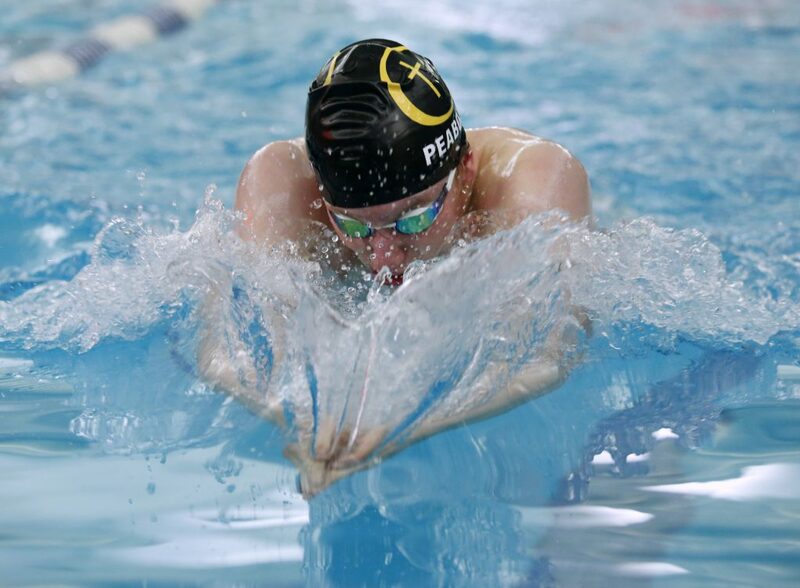 Not only did he win the 200 individual medley (by 3 seconds in 2 minutes, 2.22 seconds) and the 500 free (by 22 seconds in 4:50.00), he also gave Cheverus a full length lead halfway through the 400 free relay to set the stage for a victory over runner-up South Portland. 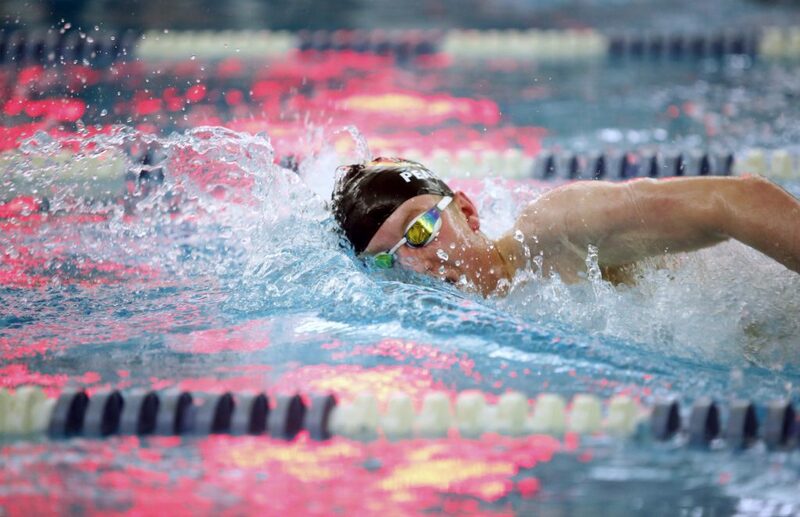 The only other individual winner for Cheverus was Chase Cameron, the top seed in the 200 freestyle, who won by a full second in 1:55.09 over teammate Jeremy Baker to give the Stags their first lead. 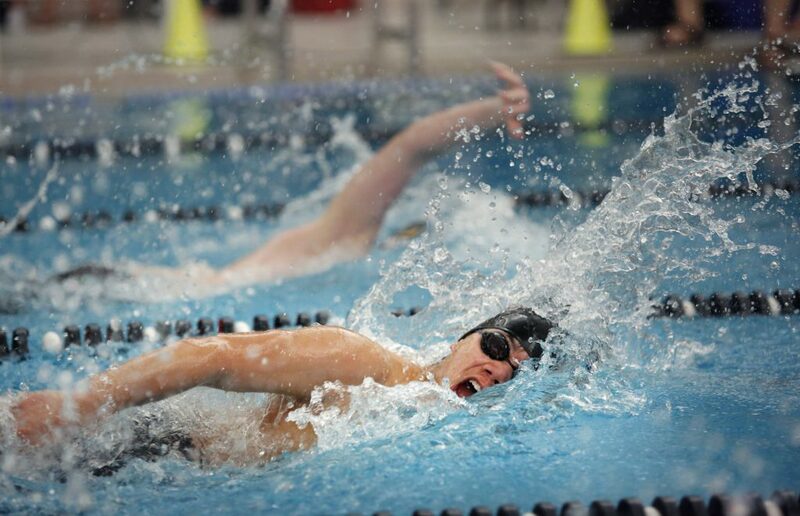 Cape Elizabeth led twice, after opening the meet with a victory in the 200 medley relay with a quartet of Jacob Membrino (backstroke), Sam Loring (breast), Oliver Kraft (butterfly) and Rohan Freedman (free), and after Hajmil Carr placed fourth in diving to put the Capers on top by five through five events. It was tied at 160 through seven before Cheverus inched ahead, leading by as many as 10 before Cape Elizabeth closed the gap to seven with one event remaining. The Capers wound up with three individual winners. Freedman won the 50 and 100 free sprints, in 22.70 and 50.07 seconds. Kraft won the 100 back in 56.69. Both were top seeds. 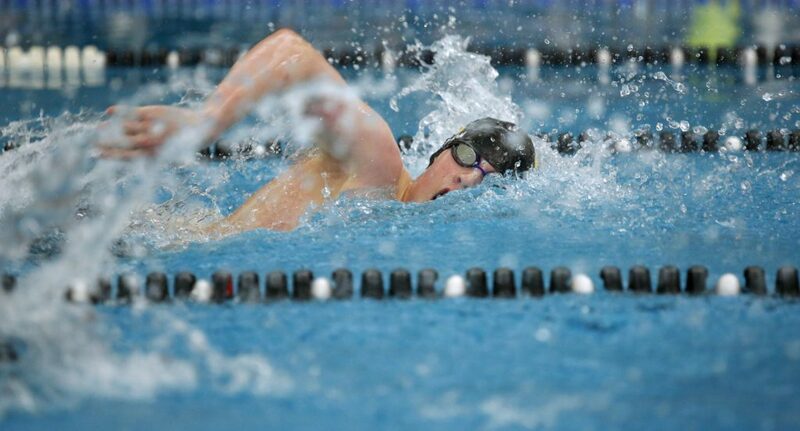 Loring, a third seed in the 100 breast, sliced four seconds off his best time to win in 1:05.17. 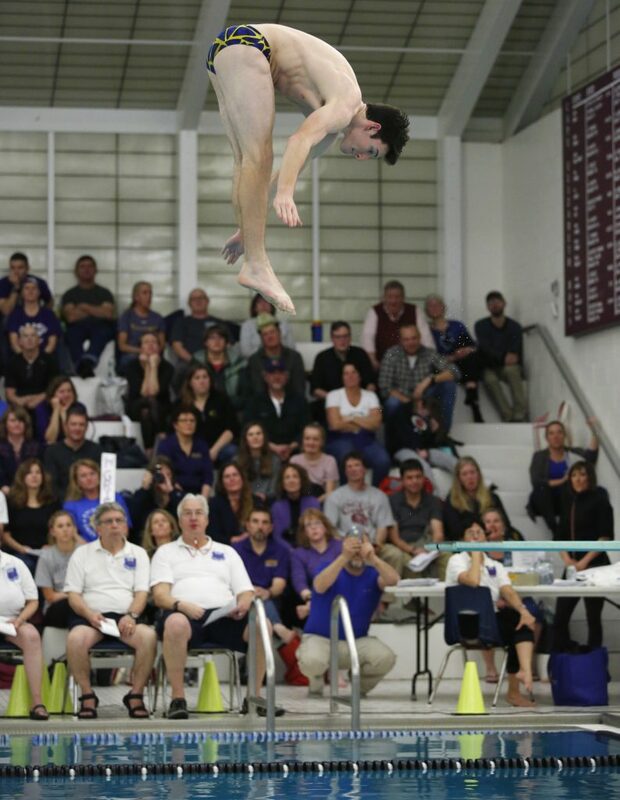 The other individual winners were Owen McLaughlin of Deering in the 100 butterfly (55.49) and Griffin Conley of Falmouth in diving, with 394.05 points. All four divers warmed up and performed eight preliminary dives in the late afternoon at South Portland’s pool, then hustled to Cape Elizabeth for their final three dives between the 50 free and 100 butterfly. 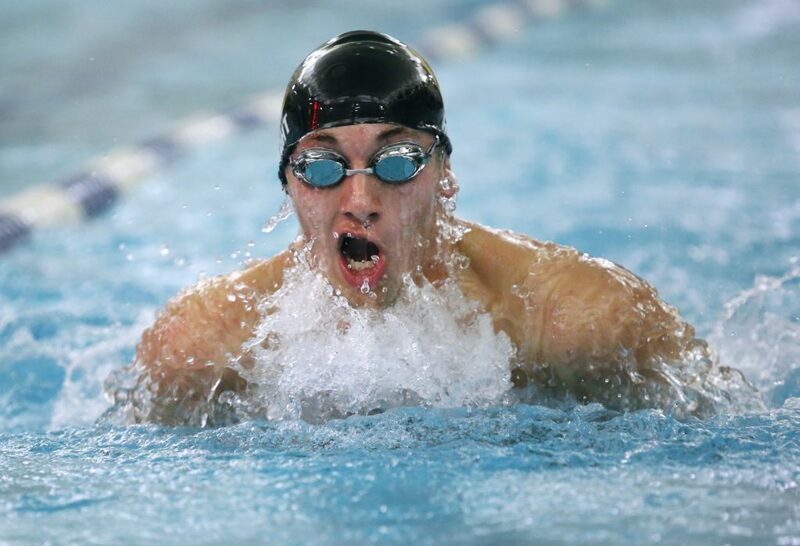 The Southwesterns also provided one last chance to achieve a qualifying time for the state meet, and Viktor Maksimov of South Portland was among those who made it, in the 100 butterfly and 50 free. 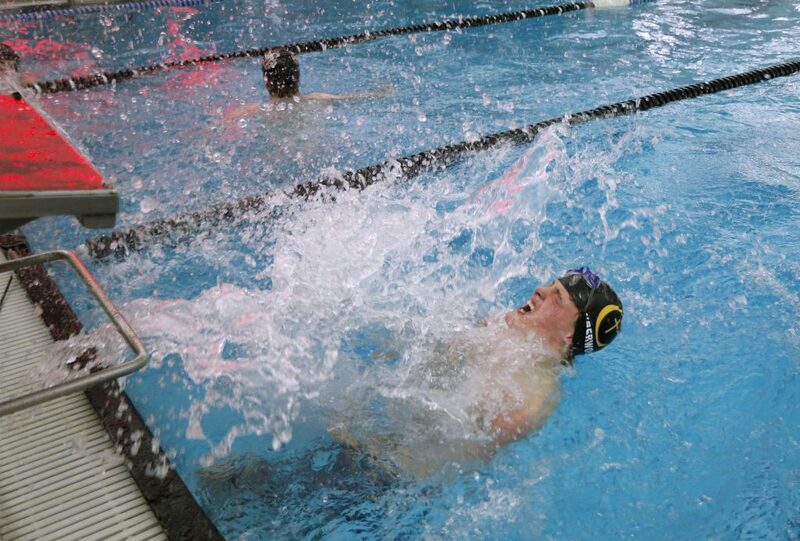 Ben Archibald of Deering and Clayton Hatch of Cheverus (who dropped 11 seconds) qualified in the 200 free. Samuel Brown of Scarborough qualified in the 100 back and Dru Tillman of Deering qualified in the 100 breast.